Tropical Cyclone Idai has left countless victims without necessary supplies or shelter, and many now face diseases such as cholera. With devastation spanning the country of Mozambique and into Malawi and Zimbabwe, volunteers have been hard at work with relief efforts. Rescuers struggle to reach areas that have been cut off by flood waters. 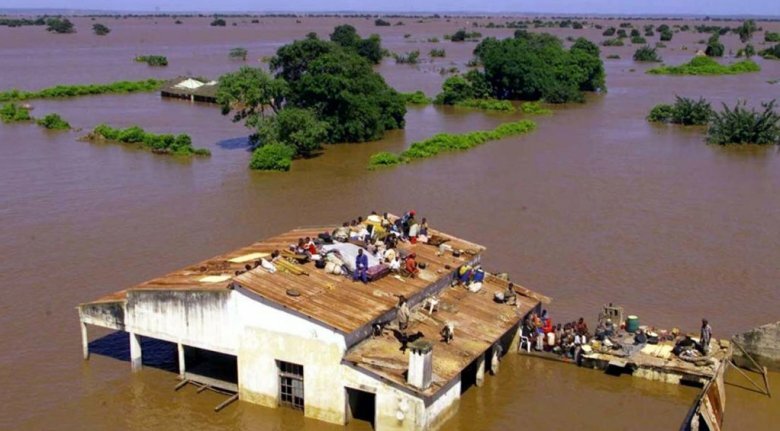 Entire villages have been swept away, hundreds of thousands of people are homeless, and survivors are wading through water or stranded in trees. Your donation goes to pay for supplies the volunteer relief teams will hand out to victims. Emergency assistance is needed in what people are calling South Africa’s worst natural disaster. After such devastation, it often takes weeks to realize the full impact of the storm. New consequences are coming to the forefront, such as the outbreak of disease, and even after the immediate needs are met, rebuilding will be a long term effort. The Rev. Dr. Dennis Tongoi, former International Director of CMS-Africa, has this to say about the effects of Cyclone Idai. ARDF wants to be ready to offer resources so that assistance can be sent and rebuilding can begin. Your gift to the local church through ARDF helps to make this possible. With your help, we can respond quickly! Thank you to all of our generous donors who have given - and continue to give - providing tangible hope to those affected by this disaster. Emergency assistance is needed in what people are calling South Africa’s worst natural disaster. ARDF wants to be ready to offer resources so that assistance can be sent and rebuilding can begin. The Anglican Church partnering with C4SO to help those affected by the California Wildfires, the worst in the State’s history! ARDF is partnering with the Diocese of the Gulf Atlantic to bring relief to victims of Hurricane Michael. ARDF is partnering with the Diocese of the Carolinas to bring relief efforts to victims of Hurricane Florence.